Trabboch (NS 438 220) and Stair (NS 438 235) are two tiny communities north of the village of Coylton and some 10 km east of Ayr. From Ayr, pass through Coylton on A70 heading east and take B730 north just after passing Coalhall and under a railway bridge. Trabboch Loch lies in a hollow on the west of the road. Park with consideration near the former Trabboch village school, now a community centre, and approach the loch on foot along the track to Drumclow farm which bisects the loch and surrounding marshland. Stair Inn, a former coaching inn, lies in a hollow beside the bridge over the River Ayr and is surrounded by tall, mature, broadleaf trees which are alive with song, especially after a convivial visit by the birdwatcher. Excellent views of the river can be had from the bridge but have a care for traffic, albeit being light. The network of minor roads in the area provide excellent cycling but the nearest bus route is at least 2 km distant on the A70. The River Ayr Way passes through Stair as it comes along the Ayr Gorge. Trabboch Loch: Scan from car park, single-track to farm is narrow, steep, rough and unsurfaced. Stair: Scan from car park (limited viewing). Both sites on good network of byways linking through to Ayr and Cumnock, but beware of opencast mining traffic near Cumnock. Trabboch Loch is an East Ayrshire Listed Wildlife Site. The mature stand of trees around the Stair Inn contains a rich variety of woodland species and the river can be scanned for Dipper, Wagtails and Kingfisher . The small lochs have been very productive over the years including such birds as Smew, Wood Sandpiper, Long-tailed Duck and Common Crane . While these lochs are relative small they are well worth a visit if you are in the area as anything could turn up. They can be easily scanned from the track, though watch out for other road users. 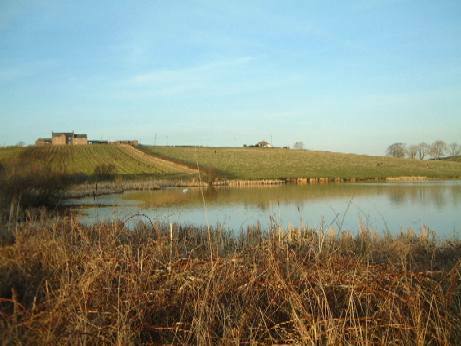 It is probably the best site in Ayrshire for wintering Pochard with flocks of up to 40 birds. Waterfowl predominate especially in winter. Tufted Duck, Mallard and Little Grebe are common, though Scaup, Wigeon and Gadwall are regular winter visitors. Water Rail inhabits the reed beds and can regularly be heard. Winter flocks of finches and thrushes can be seen feeding in the fields behind the parking space. 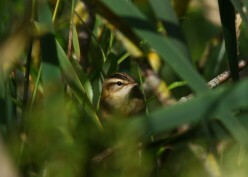 In summer the dense undergrowth and nearby woodland play host to a number of passerines including Sedge Warbler, Blackcap, Willow Warbler, Chiffchaff and Reed Bunting . In autumn it is well worth checking the loch sides for waders. A ‘scope is not essential for this site though binoculars would be very useful. This entry was posted in Locations - East Ayrshire on 28-Aug-2010 .